Noble Life Sciences is a preclinical contract research organization (CRO) owned and operated by scientists with decades of experience in drug, vaccine, and medical device development. In addition to offering GLP and non-GLP services including in-vivo and in-vitro specialized models, Noble’s team of scientists implement effective and efficient approaches to help guide your research and development programs. Noble Life Sciences provides integrated GLP and non-GLP preclinical services designed to accelerate development for drugs, vaccines and medical devices. Services include pharmacology, disease models, early safety assessments, toxicology, GLP custom polyclonal antibodies, cell line development, and analytical testing. We are committed to providing a strong scientific foundation to enable your preclinical decisions. One of the biggest challenges in preclinical research is procuring high quality animal services to support your development mission. 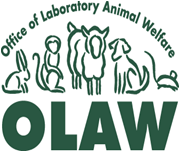 With a flexible and responsive approach to meeting your needs, Noble offers the highest quality services backed by AAALAC accreditation, OLAW assurance, a USDA license and over 50 years of experience in animal housing and husbandry for large and small animals. Noble Life Sciences has extensive experience in medical device testing for orthopedic, cardiovascular, trauma, and wound models. With state of the art surgical suites and highly experienced staff, we provide a wide range of testing services to ensure both medical device efficacy and safety. Depend on Noble Life Sciences as your partner for high-quality R&D.